Yummy, Yummy, Good for your Tummy Bread! My very popular recipe. 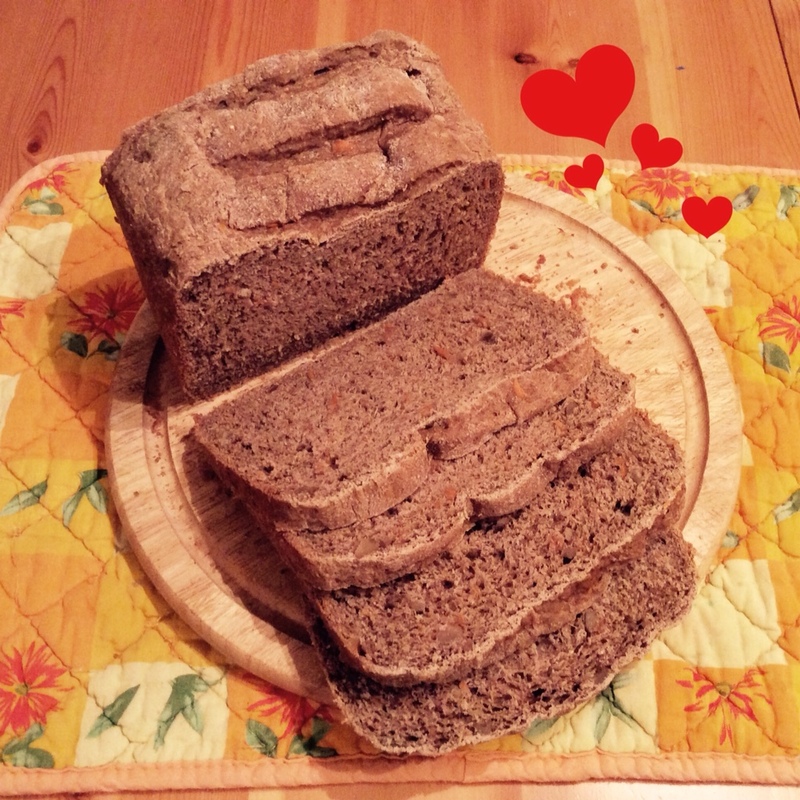 It can be made in a breadmaker if you must …….. but WHY? ? After all, who can resist the feel of all that sticky gunge between the fingers and a kitchen transformed into a floury winter wonderland! But with a little kneading that sticky gunge is miraculously transformed into a silky, elastic dough that is just heaven to squeeze and stretch into interesting creations. Apart from the actual baking there's not much a child can't do when making bread. Use your own discretion. You know your child better than anyone. Let them be creative. Let them adapt the recipe. Be prepared for a few strange outcomes …. it's better that they experiment … they will learn from failures. Just make sure that they see a failure as something positive and the start of a new product and not the end. This will probably be more difficult for you than them when faced with a floury kitchen! But then, that's important too. They need to learn how to clean up even if it takes twice as long! Strong Flour. 500grams A mixture of wholemeal and Granary is good. The coarser the better. I like to add a little black Rye flour too. Nuts! A small handful of walnut pieces or crushed hazlenuts or cashews or go mad and mix lots. One teaspoon of runny honey or sugar. 2 level teaspoons of salt. Measure out the liquid . It should be tepid. Warm but not hot. Crumble a cube or yeast into a mug. Add honey or sugar and cream together with a teaspoon. Then pour on half the liquid. Stir then watch in fascination for about 15 mins. while bubbles began to surface. If you can tear yourself away from the bubbly volcano this is the time to measure everything else into the largest bowl possible. (less mess). At the point when the yeast threatens to spill over the top of the coffee mug pour it and the remaining liquid into the bowl. Gunge lovers can then stick their (clean) hands straight in and get mixing. The more squeamish (adults) are allowed if necessary to initially draw the ingredients together with a spoon. Shame on you!! Then turn out onto floury board or baking paper and knead and knead and knead till it's a soft and smooth as a baby's bottom! Put back in the bowl. Cover with cling film and leave till double in size. About 60 – 90 minutes depending on how warm your kitchen is. Then out it comes again for another good battering. Then …. well the rest depends on imagination. Will it be a round cob or a pirate ship? A loaf or a teddy bear! Whatever … place on a greased baking sheet and leave to rise again for about half an hour till its springy to the touch. At this point the oven needs to be turned on and preheated ( check own oven instructions for this and baking times). The smell will be divine even if the outcome is not what was expected !